The battle for the lead in GBRow 2013 continued relentlessly throughout the night as Oarsome Adventures chased down leader The Islanders in the Celtic Sea. 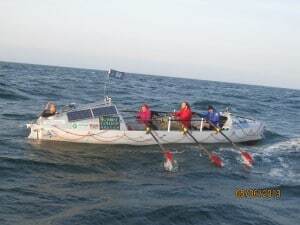 Oarsome, rowed by a crew of six, including five Celtic longboat racers, is at home in these rough waters off the west coast of Britain. A couple of hours ago, they cut the Islanders’ lead to just five miles but in the last hour, the Islanders have increased their pace and drew just miles ahead of the chasers. The Islanders – John Taylor, Alan Morgan, Jason Plumley and Gavin Sheehan – are propelling their 24-feet-long boat, the Black Oyster, along at 2.7 nautical miles an hour. In Boudica, skipper Mikey Buckley’s crew – Heather Rees-Gaunt, Karl Steans, Ian Kavanagh, Sam Clemmens and 20-year-old Beatrix Parry – were slower at 1.7 knots – nautical miles an hour. The gap could widen this morning as the race heads into the Bristol Channel. Will the Islanders head towards the Irish coast? 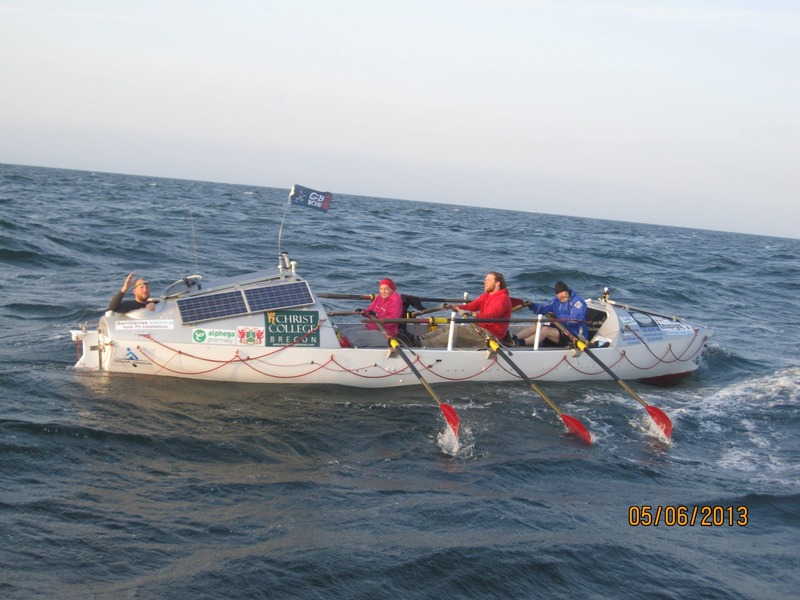 Will Oarsome Adventures veer towards their home waters off Wales? In a couple of hours the race will re-ignite off Devon’s South coast when Pure Gym, who were rescued yesterday after electrics failure re-join the race. Under GBRow 2013 rules they can continue but will not be included in the prizes.